At Arizona TMJ & Pain Center, our focus is the diagnosis and treatment of TMJ Disorders, Nerve Pain, Headache, and Sleep Apnea. We understand that these conditions can be extremely painful and frustrating to live with, and our goal is to increase the quality of life for our patients. By means of a thorough history, evaluation, and review of diagnostic data, we will work with you to provide the best possible solutions to dealing with these highly complex, poorly understood, and often interconnected group of conditions. Please read on to learn more. 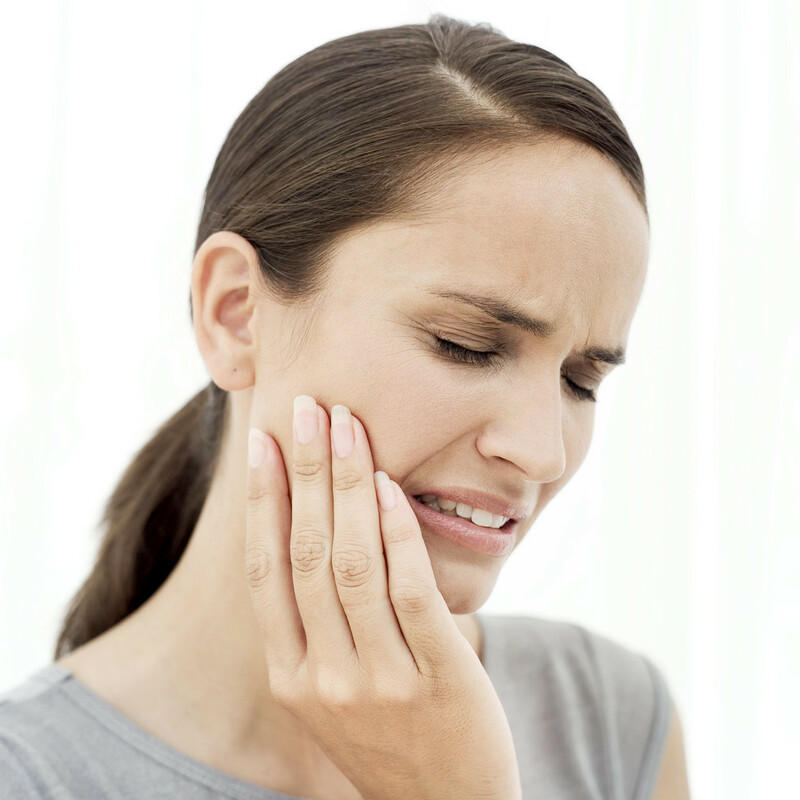 Temporomandibular joint and muscle disorders, commonly referred to as TMD or TMJ Syndrome, are a group of conditions that cause pain and dysfunction in the jaw joint and the muscles that control jaw movement. These causes, or conditions, fall into three main categories: (1) muscle/myofascial pain, which involves discomfort or pain in the muscles that control jaw function; (2) internal derangement of the joint, which involves a displaced disc, dislocated jaw, or injury to the jaw; and (3) arthritis, which refers to a group of degenerative/inflammatory joint disorders that can affect the temporomandibular joint. Common symptoms include jaw pain or stiffness, difficulty or discomfort while chewing, painful jaw clicking, and locking of the jaw making it difficult to open or close the mouth. Other symptoms include headaches and generalized facial pain, ear pain, ringing, and congestion, as well as neck and shoulder pain. Conservative and reversible management techniques such as behavior modification, medication, jaw exercise, and orthopedic appliances (orthotics) have proven to be safe and effective treatments in the majority of TMJ cases. In a minority of cases, TMJ surgery may be needed but is usually considered after reasonable reversible treatment techniques have been unsuccessfully utilized. Nerve, or neuropathic, pain refers to a wide range of problems resulting from diseases of, or injury to, the nervous system. Nerve damage can take place in one of two areas: (1) the central nervous system, which includes the brain and spinal cord; or (2) the peripheral nervous system, which is located throughout the body including the head and neck. The most commonly affected nerve is the Trigeminal Nerve, which is the primary sensory nerve of the face and oral region, but other cranial nerves may be affected as well. Neuropathic pain may also present itself as phantom tooth pain syndrome, which is a toothache-like feeling in areas of existing or missing teeth without the presence of an identifiable problem. Some of the possible causes of nerve pain and nerve damage include compression, trauma, diabetes, drug side effects, toxic substances, nutritional deficiencies, infectious and autoimmune diseases, and cancer. Symptoms of neuropathic pain include constant dull aches, burning sensations, numbness, and tingling pain, while other conditions are described as episodic shock-like pain. The pain can also be accompanied by a change in skin color, texture or temperature, as well as swelling, muscle spasm or weakness, and decreased mobility of the affected region. Trigeminal neuralgia, one of the most common types of nerve pain, is experienced as attacks of sudden, severe stabbing pain in the face, usually lasting several seconds. A pre-trigeminal neuralgia condition may precede the onset of classic trigeminal neuralgia symptoms and is felt as a constant aching in the affected region. Since nerves are essential to everything we do, nerve pain and damage can seriously affect a person’s quality of life. As a result, it’s common for depression and anxiety to develop in individuals with chronic neuropathic pain conditions. Treatments vary based on the underlying cause of the condition, and typically involve the use of different types of oral and topical medications, injections including nerve blocks, and physical therapy. Surgical procedures are sometimes necessary when non-surgical measures are unsuccessful. The ultimate goal is to reduce or eliminate pain symptoms and enable one to maintain a normal level of activity. In some cases, a multidisciplinary approach and coordination with other providers may be needed. A headache is pain or discomfort anywhere in the head or neck region. The pain originates from the tissues and structures that surround the brain since the brain itself has no nerves that give rise to the sensation of pain. Headaches vary greatly in terms of pain location, pain intensity, and how frequently they occur. The pain may be a dull ache, sharp, throbbing, constant, mild, or intense. There are three major categories of headache based on the source of pain: (1) primary headaches, such as tension, cluster, and migraine headaches; (2) secondary headaches, such as traumatic and rebound headaches; and (3) cranial neuralgias, facial pain, and other headaches. Headaches may be caused by a number of conditions, such as disorders of the neck, eyes, brain, jaw, or teeth, as well as an underlying medical or non-medical condition. Factors that influence headaches are sometimes called headache triggers. Headaches can be occasional, recurrent or chronic in frequency. Common treatments of headache include recognition and avoidance of the headache triggers, addressing underlying causes such as TMD and cervical/neck pain, lifestyle changes, medication including supplements, and Botox. Sleep apnea is a common disorder in which an individual has one or more pauses in breathing or shallow breaths while sleeping. Breathing pauses can last from a few seconds to minutes. They may occur 30 times or more an hour and cause oxygen levels in the blood to drop. Typically, normal breathing then starts again, sometimes with a loud snort or choking sound. Sleep apnea is generally an ongoing condition that disrupts sleep. When breathing pauses or becomes shallow, one will often move out of deep sleep and into light sleep. As a result, the quality of sleep is poor, which results in tiredness during the day. Sleep apnea is a leading cause of excessive daytime sleepiness. Sleep apnea can be caused by obstruction of the upper airway, resulting in obstructive sleep apnea, or by a failure of the brain to initiate a breath, called central sleep apnea. It can cause and worsen other medical conditions, including hypertension, heart failure, irregular heartbeats, and diabetes, as well as increase the chance of having work-related or driving accidents. Sleep apnea is a chronic condition that requires long-term management. Lifestyle changes, oral appliances, and breathing devices can successfully treat sleep apnea in many people, while surgery may be required in some cases. Copyright © 2013 Arizona TMJ & Pain Center. All Rights Reserved.